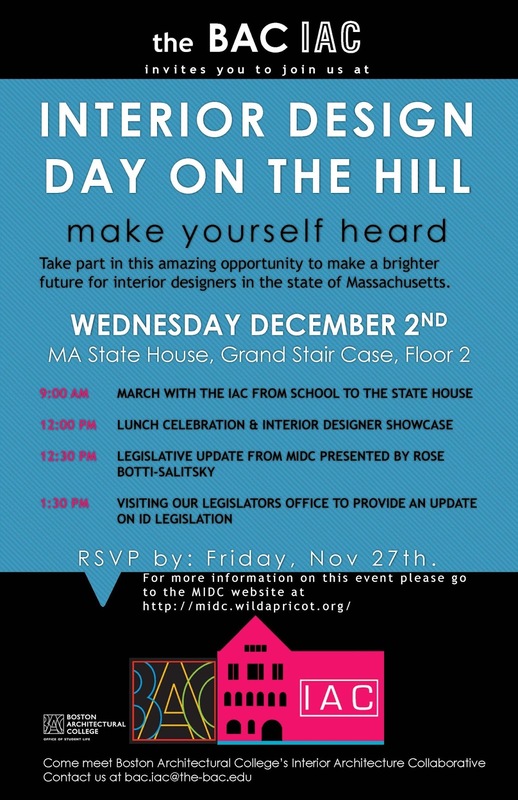 Join the BAC IAC at Day on the Hill Wednesday, December 2nd! The interior design community will be coming together at the State House in celebration of the first year Interior Designers are recognized as a design professional for state projects. 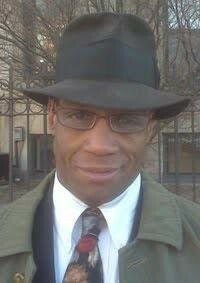 In addition, they look forward to honoring the coalition’s founder the late Carol Kodis during this special occasion. 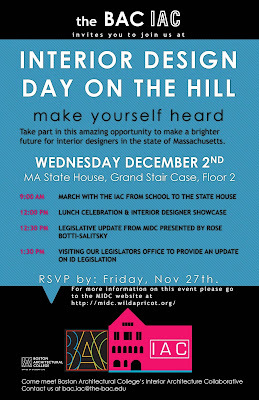 Come join your fellow local interior designers & supporters to continue the efforts to educate the public and our legislators about the roles and responsibilities interior designers have in the contract design & construction process.